Hold onto your buckets, an Aussie cruise ship arrived in Sydney with 182 passengers suffering from gastro. I’m guessing no lines at the buffet. After a thorough clean the ship will be cruising back off into the sunset, minus a few. Getting busted growing $2 million worth of marijuana, dumbass. 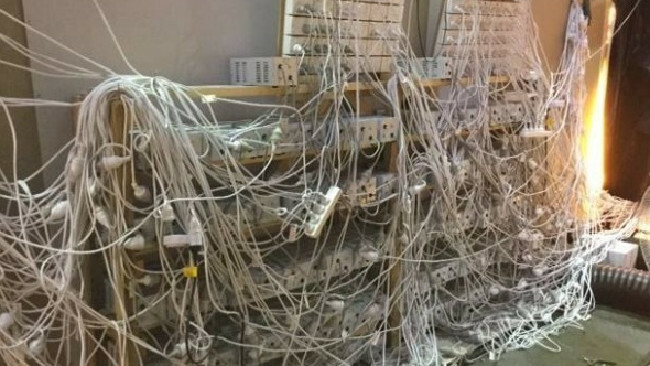 Getting caught stealing every ones electricity to grow it….priceless. 40 armed police armed with assault rifles and an armoured BearCat vehicle surrounded a house in Sydney for three hours in a tense standoff with a man believed to be involved in a shooting. Police, using a megaphone ,tried to coax the man out but after getting no joy they sent in specialist officers from the Tactical Operations Unit to force their way into the house. Problem was the house was empty. Awks. Still no word on who or where the gunman is. Move over worst nightmare we have a new winner. Imagine being on a 13 hour plane ride from Santiago (Chile) to Sydney with 26 students hurling their guts up violently (and lets not forget the diarrhoea) in the eight toilets, after boarding with friggin gastro. The tour group spewed and pooed the entire trip while horrified passengers watched on. When the flying bucket landed the sick were met by a line of ambulances escorting them to hospital. Pasta or chicken? I took a shot of this billboard while waiting for a train in a Sydney underground station. I’m not sure about you but I don’t think I will be sending a get well, hope your mucus clears up card to anyone, anytime soon. Just saying. Psst Mucus is a very unattractive word!!!! Having spent a week in Sydney it occurred to me why Perth will always be the poor cousin…. The friggin Perth Arena which so far has cost $548.7 million and still isn’t finished!!! The Bell Tower which stands 82.5 m (271 ft) and can only be seen if standing near the river. We end up with ….. The same friggin sculpture in green, except we paid $1 million dollars for it!!!!! Ice Skating On Bondi Beach Anyone? Last thing I expected to see at Bondi was a friggin ice rink on the beach. Christmas in July!!! !